Paramount partners with IMAX and the San Diego Symphony Orchestra to host the Star Trek Beyond premiere during SDCC 2016! Watch the latest film trailers and get more details. This summer the third installment of the rebooted Star Trek franchise will make its way to theaters. In Star Trek Beyond, Chris Pine (Jim Kirk), Zachary Quinto (Spock), Zoë Saldana (Uhura), John Cho Sulu), Simon Pegg (Scotty), Karl Urban (Dr. McCoy), and Anton Yelchin (Chekov) reprise their roles, with Justin Lin (of Fast and Furious fame) replacing J.J. Abrams as director. Idris Elba also joins the cast as new villain Krall. So far Paramount Pictures has released two trailers, which you can watch below. We see Captain Kirk leading his crew on new missions across the galaxies, coming face-to-face with new friends and foes. STAR TREK BEYOND, the highly anticipated next installment in the globally popular Star Trek franchise, created by Gene Roddenberry and reintroduced by J.J. Abrams in 2009, returns with director Justin Lin (“The Fast and the Furious” franchise) at the helm of this epic voyage of the U.S.S. Enterprise and her intrepid crew. In “Beyond,” the Enterprise crew explores the furthest reaches of uncharted space, where they encounter a mysterious new enemy who puts them and everything the Federation stands for to the test. Of course, I’m excited about what looks to be AMAZEBALLS movie effects. And can we talk about how this guy (below) is really Idris?! We can always count on the make-up and prosthetics to be sick! But I’m most curious about this “mysterious”, never before seen species to which Krall belongs. And why does it look like he and his people are running some sort of work camp (second trailer, 1:48)? Star Trek Beyond opens in theaters and IMAX on July 22; however, if you’re headed to San Diego Comic-Con (and we are!!! ), we’ve got some great news to share! This past Friday (May 20) at a Star Trek Fan Event in LA, Justin Lin announced that Star Trek Beyond will have its World Premiere at SDCC on Wednesday, July 20. Paramount is partnering with IMAX to make this the first-ever open-air IMAX world premiere. In addition, the red carpet and screening will feature special appearances from Lin and other Star Trek Beyond cast members and creators. And, as if that isn’t enough, Paramount is also partnering with the San Diego Symphony Orchestra to treat fans to a live concert performance of the film score (composed by Academy Award winner Michael Giacchino)! 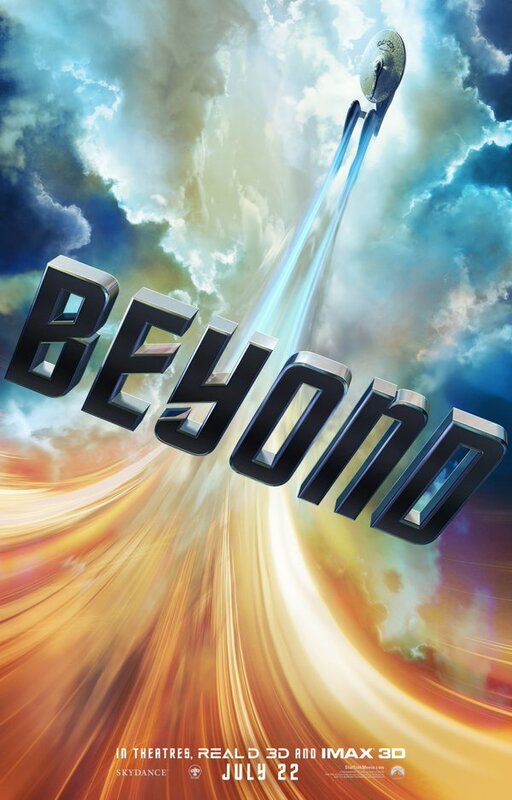 Once again, SDCC attendees will have the chance to attend the Star Trek Beyond premiere. Details about ticket distribution are forthcoming, but when we know, we’ll definitely pass on that information!